If you are interested in getting a new opener, we are here to guide you in choosing the right one that suits your need as well as help in the proper installation of the device. We have many experts available to assist you if you give us a call or contact us online. We are ready to present the main features of each brand to help you see the one that fits your residential or commercial garage door. 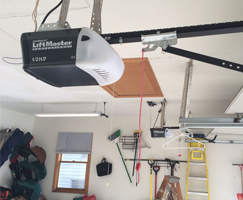 We at “Garage Door Repair Roseland” are dedicated to give our customers only the best service and the best experience in buying garage door openers. For us to make that happen, we only offer highly durable and trusted brands like Liftmaster, Genie, Chamberlain, Marantec, and Craftsman. 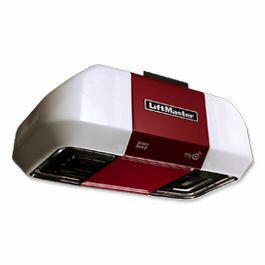 Our technicians are fully trained on garage opener installation and are ready to guide you on how to maximize the features of each brand. Apart from the great collection of opener brands, our team of professionals will show you how each type of opener is different from the other and the benefits you can get from each of them. The types of openers available are belt drive, chain drive, and screw drive. If you already have an opener but only wants a certain part to be replaced like remote controls, keypads, transmitters, or sensors, our company has every little part that you need. Our fully equipped technicians can visit you anytime to check the entire system and will happily give you the component that you need to make it work like new. We believe in letting our customers know how we work, so the process is explained to you before starting work. It doesn't matter what type of garage door you own as we handle both old and new. If you want to experience our great and first-class service, do not hesitate to call us and we will gladly talk to you.